Terrance is a tomato that grew in our garden last year. He came from a six pack of heirloom tomatoes that we bought at a local greenhouse. He was a knife stroke away from becoming salsa when I realized he had a face! His personality was staring right at me, so I thought he could keep me company for a while and I could show him what humans do for fun. He was a great sport, and together we created some special memories. Terrance was the most wonderful tomato, and I hope that you enjoy getting to know him through these pages as much as we did! 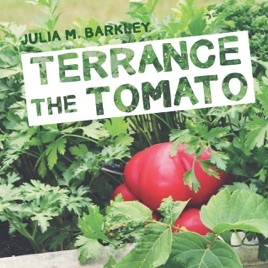 Terrance the Tomato is a sweet story for children of all ages. Join Terrance as he plants seeds of joy, fun, and hopefully more tomatoes throughout home and garden!